"I like candle pose because I go up in the air and it makes me feel peaceful and strong. I love doing yoga." "I like yoga because in candle pose you go up in the air and makes me feel strong." "I like yoga because it makes me feel happy and peaceful." "I like the mountain story." "I love yoga when we get to play games." "I like yoga because you get to play yoga games with partners." "I like yoga because you learn new stuff every time." "I like doing yoga my favourite pose is candle pose because it makes me feel happy and peaceful." "Absolutely amazing. Thank you so much I have also learnt a lot from my child." 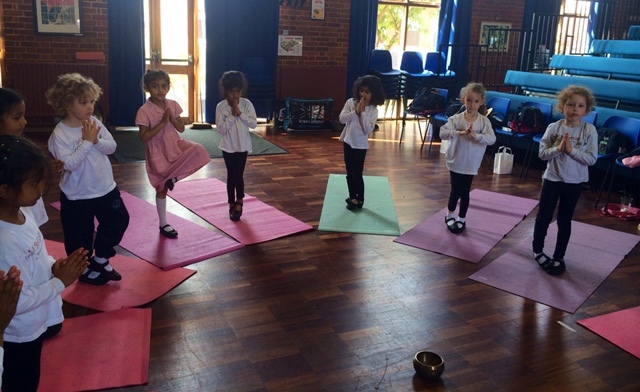 "My child has really enjoyed the sessions tremendously. She often does her exercises at home, applying what she has learnt in different situations. She is normally very energetic and a bundle of nerves so its nice to see her completely relaxed and at peace during her exercises. Thanks so much!" 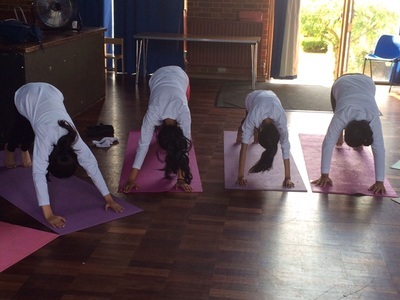 "My girls have thoroughly enjoyed the yoga class. 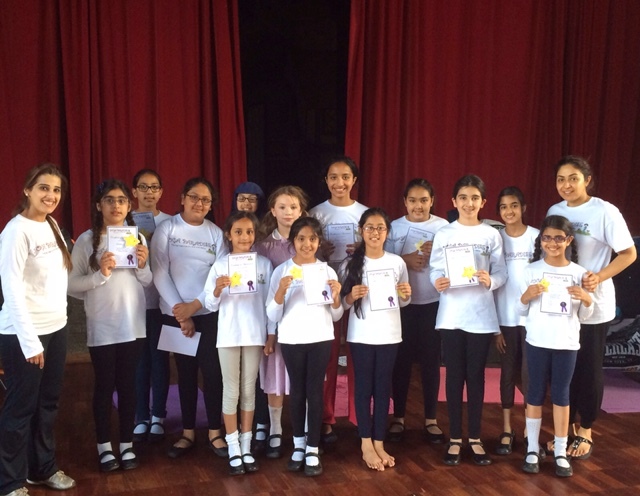 They have used the shhh technique when they feel nervous and they always feels very relaxed after a class." "The yoga club has really motivated my daughter with what we expected and more. It has helped with her relaxation techniques and has helped her to stay focused. Well done!" 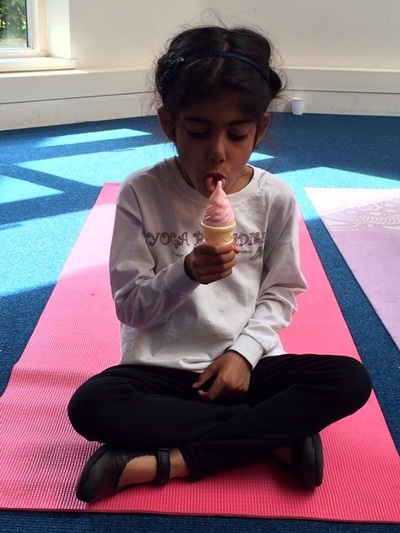 "I have seen such lovely improvements in my daughter and have seen her apply her yoga techniques in everyday life. Thank you so much and we are looking forward to September classes." "After Yoga we feel relaxed and energised. 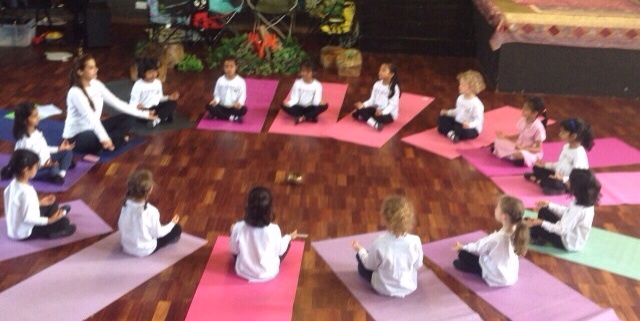 The kids concentration has really improved and they are very happy. Thank you so much for all your help." 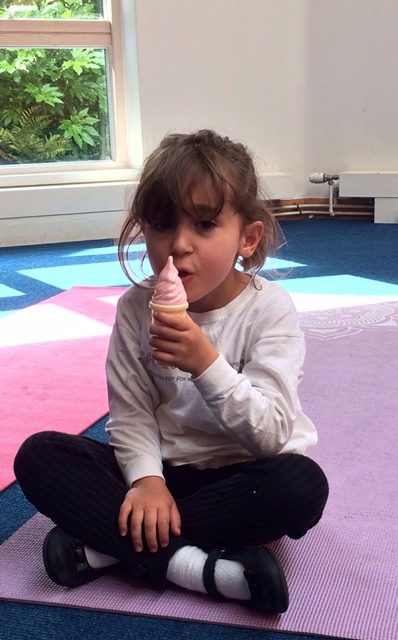 "It was lovely to watch the kids sit so calm and listen." 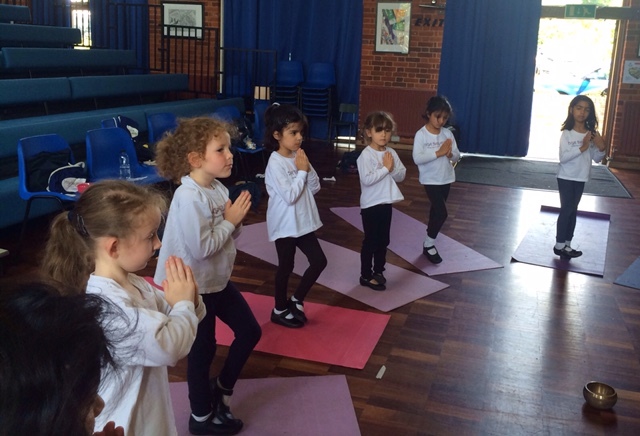 "It was lovely to see the children doing all the breathing exercises so well! Well done!" "Lovely class. Many Thanks. We will certainly discuss with Sienna to carry on with you in reception." "Good to see my daughter progressing in yoga." "The class was a great combination of enjoyment and discipline. We certainly would like my daughter to continue." 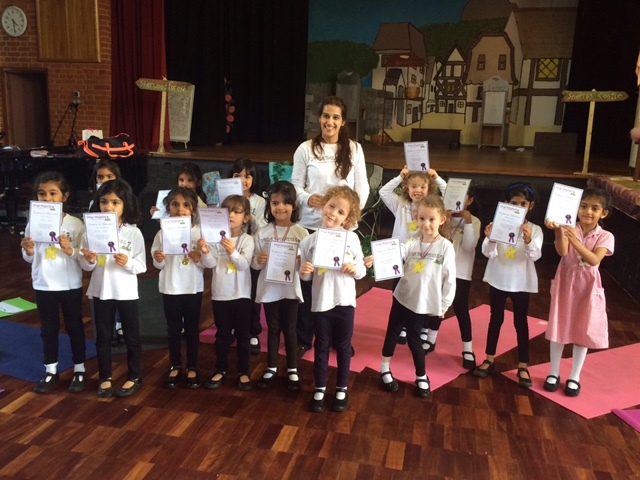 "Lovely performance by the little ones. Great work! Thank you for putting in so much effort!" 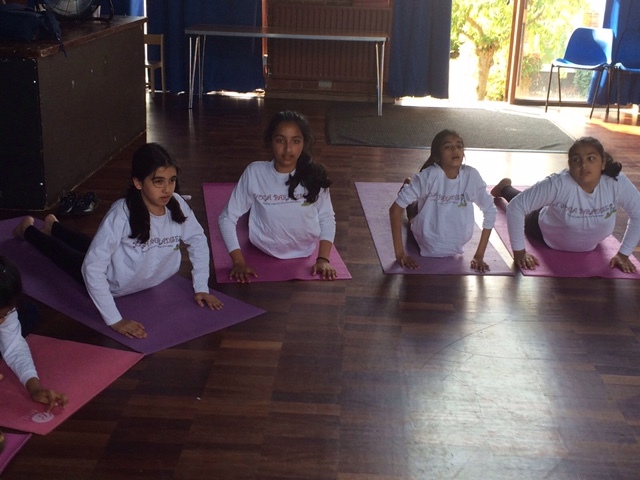 "It was good to watch children learn so much from yoga." Everyday when it is not Yoga I wish it was Thursday because I love my Yoga class. I Like playing fun Yoga games. I like the boat ride exercise because it is very hard to do but I can do it. It makes me strong. Anoushka and Oskar first experienced Yoga Paradise at Oak Lee Montessori. From their first lesson they were excited and energised by the experience. 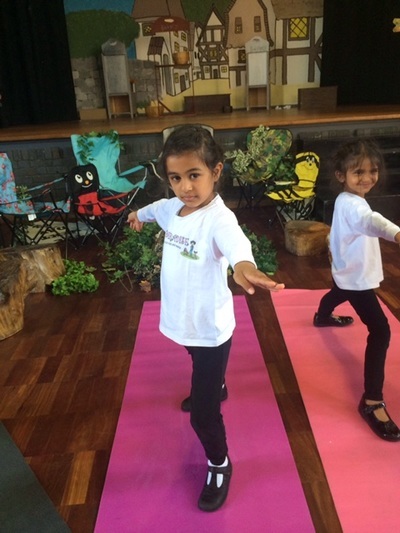 As the weeks and lessons passed by I could not believe how enthusiastically they would show me all the poses they had learnt and the breathing skills - all set to great stories, songs or rhymes. They thought of it as nothing more than a game. They really loved their yoga lessons and looked forward to them each week. They built up a special bond with Priya who had an incredibly calming effect on them. She was simply magical with the children and they adored her. 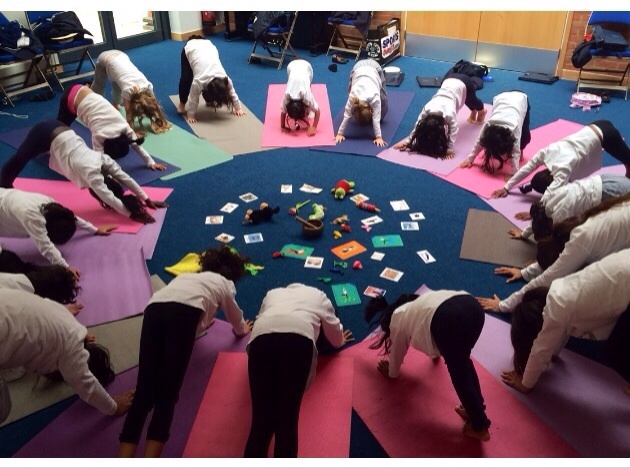 We cannot wait to sign up for the school holiday courses for all of us to enjoy yoga together as a family. 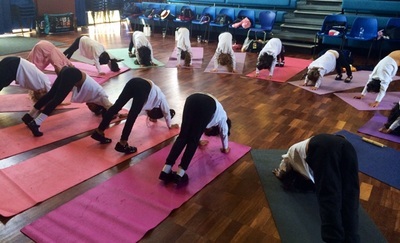 The children look forward to their Yoga session and this has had benefits in the three prime areas of learning and development; physical skills, listening and communicating skills and personal, social and emotional. 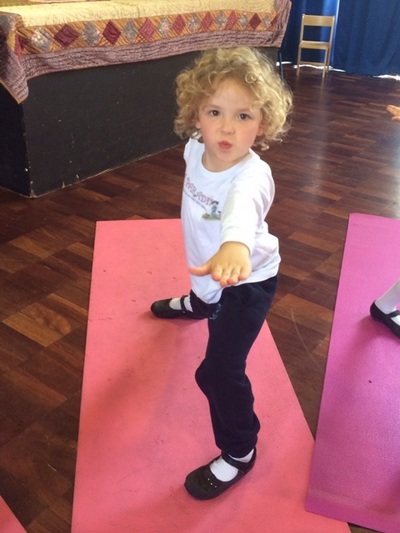 The Yoga Paradise teachers have excellent knowledge of Yoga and are able to adapt this so well to make Yoga session fun for the various age ranges, from 6 month old children all the way through to 4 year olds. They also work well with the nursery to keep the parents informed and will happily adapt their sessions to fit in with children who have special needs as well as incorporating topics and themes.